SEGA was on top of the world in 1993. Sonic the Hedgehog and its bigger and better sequel had sent sales of the Mega Drive sky-rocketing, prompting the blue blur to become a household name almost overnight. Many predicted SEGA would release Sonic 3 in time for Christmas 1993, but with development taking far longer than anticipated, the platform holder hastily prepared Sonic Spinball to meet both demand and expectations. Despite the pinball spin-off allegedly being created in just two months, reviews were generally favourable. To say it would have benefited from longer in development is an understatement, however – it was severely lacking in polish. If you’ve ever wondered what Sonic Spinball could’ve been had it went through a typical development cycle, then Yoku’s Island Express should pique your interest. It too puts a character under your control and mixes pinball with platforming, optional quests, and boss battles. It’s definitely a product of this era, rather than a ‘90s throwback, we should note – there are a few adventure game elements, with many paths and areas inaccessible until certain items are discovered. The whole game is set in one gigantic, seamless, world, too – a tropical island with numerous pinball “tables” connected by chutes, slides, pools of water, and things to bounce off. The titular Yoku arrives on the island not to seek treasure, but to start a new life as the island’s postman. Indeed, it’s a profession not usually associated with video games. 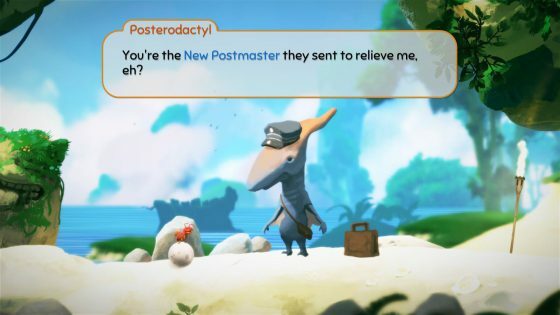 By chatting to the locals, the likeable lead soon learns that the island’s guardians are in danger, and so in addition to reducing the backlog of mail, there’s a wealth of quests to partake to restore balance and save the day. It quickly becomes apparent that Yoku’s upgrades aren’t quite the typical assortment. They’re so outlandish, in fact, that it’s impossible to guess what plaything you’ll be given next. As the new postmaster, he’s supposed to carry a postman’s bugle. With no such instrument available, the upbeat bug resorts to using a party horn that emits a pleasingly high-pitched toot. Then comes a slug vacuum, which features the first of many playful mechanics. The island’s slugs are explosive and must be detonated within a tight time limit, or face being propelled across the screen; something more amusing than it may sound here. 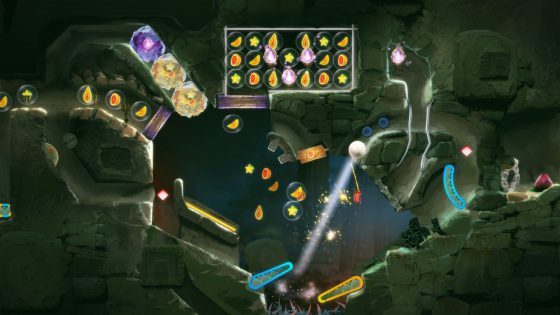 As Yoku gains access to the deeper, darker, parts of the island the difficulty level kicks up a notch, with many of the pinball-focused areas requiring decent timing and ample flipper skills. The stakes are never high, luckily – you’re free to spend as much time as you need to get Yoku to the next area. The only punishment is the loss of currency, which is soon replenished by bouncing off bumpers and whatnot. That said, there’s satisfaction to be had by carrying around a bulging wallet. After the ending credits rolled, we were still left with a long list of things to do – parcels to post, hidden collectables to round-up, mailboxes to stuff and one final, all-encompassing, secret to uncover. The fact that we wanted to spend more time in Yoku’s company, rather than play something else, speaks volumes. 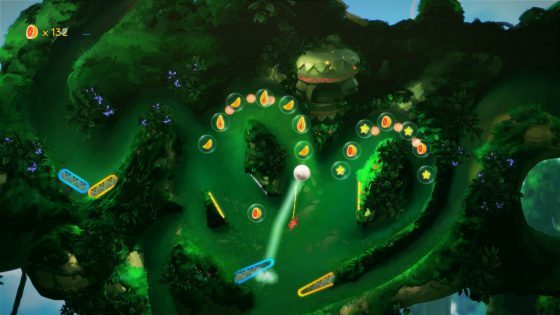 With its Rayman Legends-esque hand-painted visuals, jaunty calypso beats, and wealth of joyful distractions, Yoku’s Island Express is a game that delivers in spades. A breath of fresh tropical air.